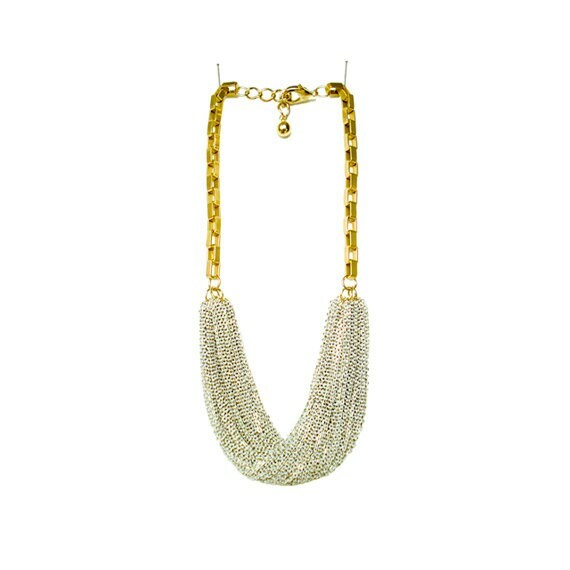 Make Chic Statement with this multi strand chain necklace! 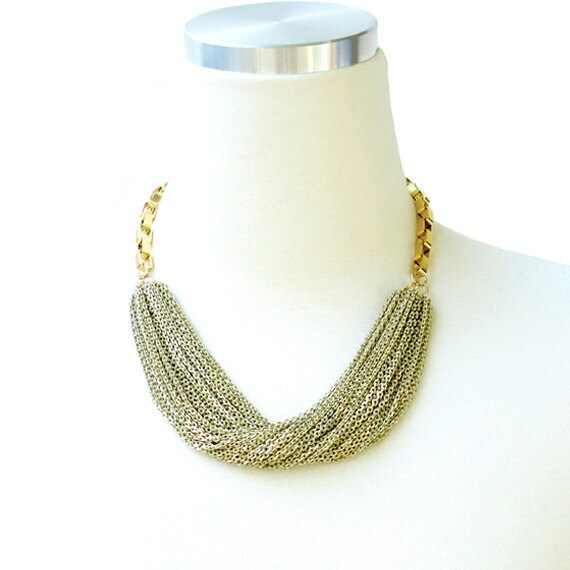 This statement chain necklace is simply yet tastefully put together. 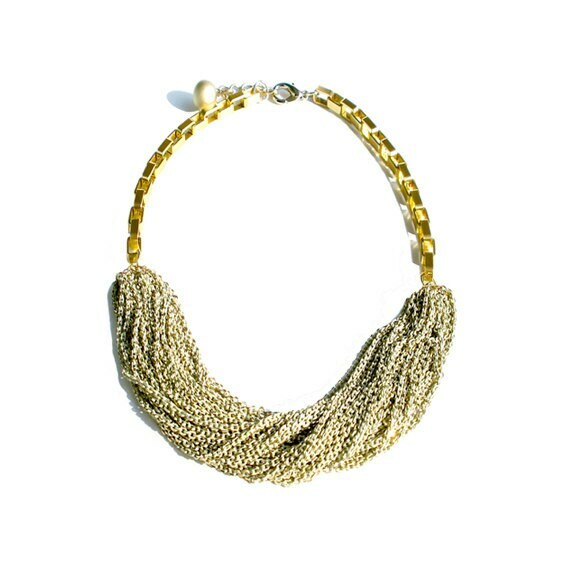 Multi Strand Enameled Ivory Machine Carved Gold and Matte Gold finish Oblong chain meets to create this chunky yet chic chain necklace. You can wear them as is or twisted as pictured!